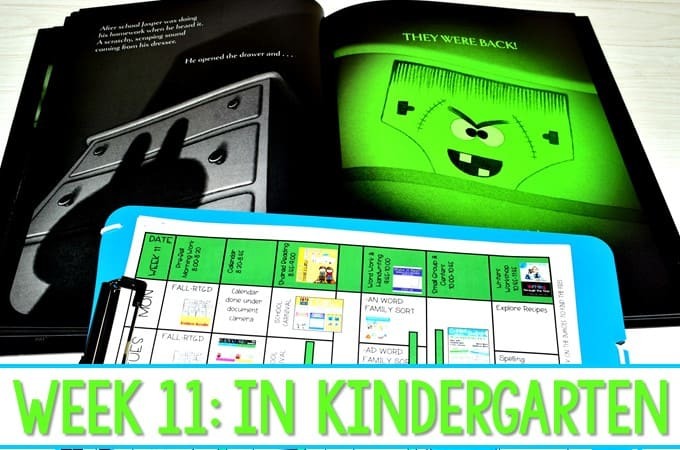 Kindergarten Lesson Plans Week 11 featuring the book, A Creepy Pair of Underwear. NOTE: This blog post contains affiliate links but the ideas are my own. 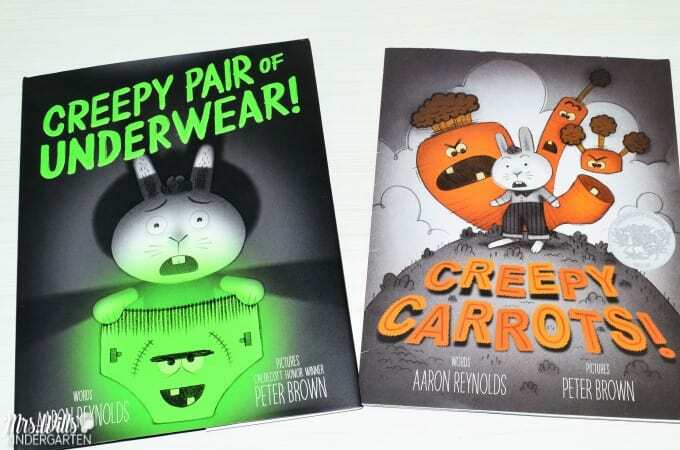 We loved the book Creepy Carrots so much we knew we had to have Aaron Reynold’s book, A Creepy Pair of Underwear! Jasper desperately wants a pair of Creepy Underwear. His mom is doubtful. I love the mom’s expression! Once again, Aaron Reynolds used black and white images coupled with that pop of color. The students love it! And… hello… underwear!!! Students love it! 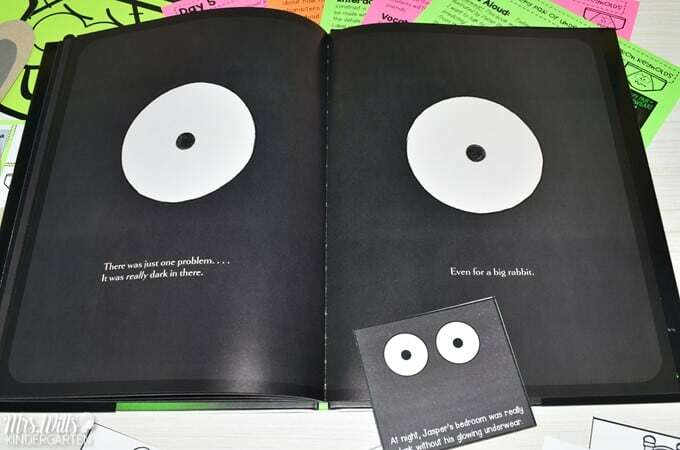 As you can see from the photos above, this is one of our Engaging Readers books. 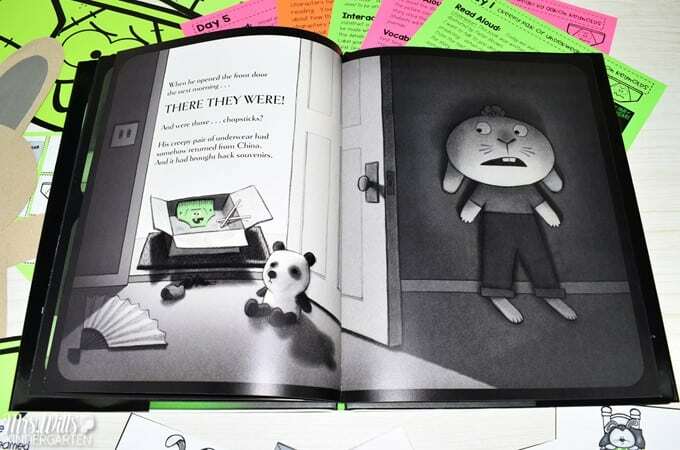 These books come with pictorial retelling cards. 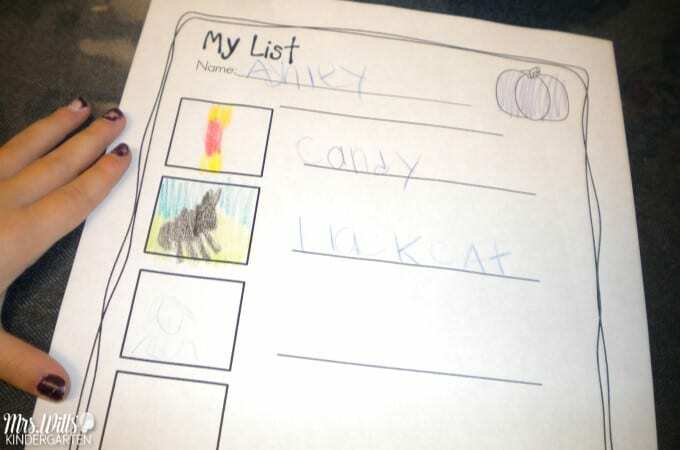 Here is a picture that was sent to me by a teacher. 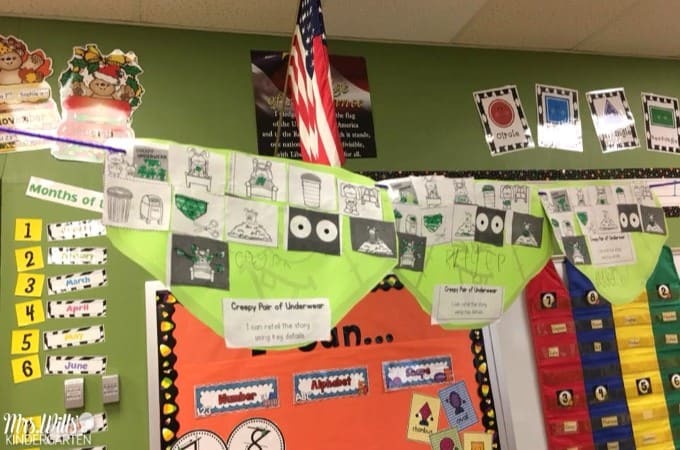 I love how she displayed them in her classroom. We have a detailed lesson play for each day of the week. 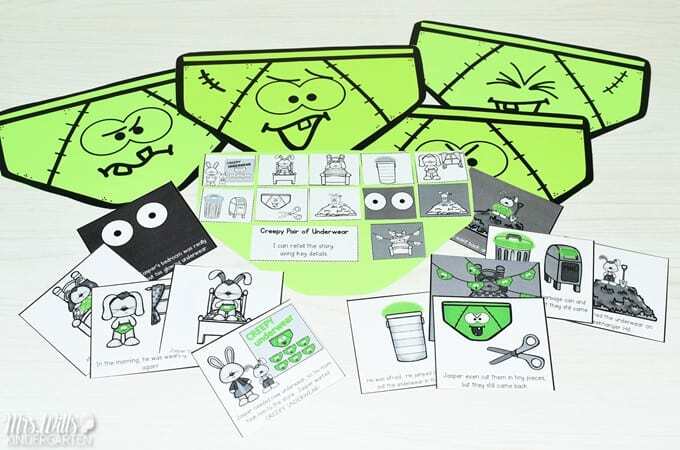 These are perfect for kindergarten, first-grade, or second grade. Here is another picture sent to us by Mrs. Pittman’s class! SO good. 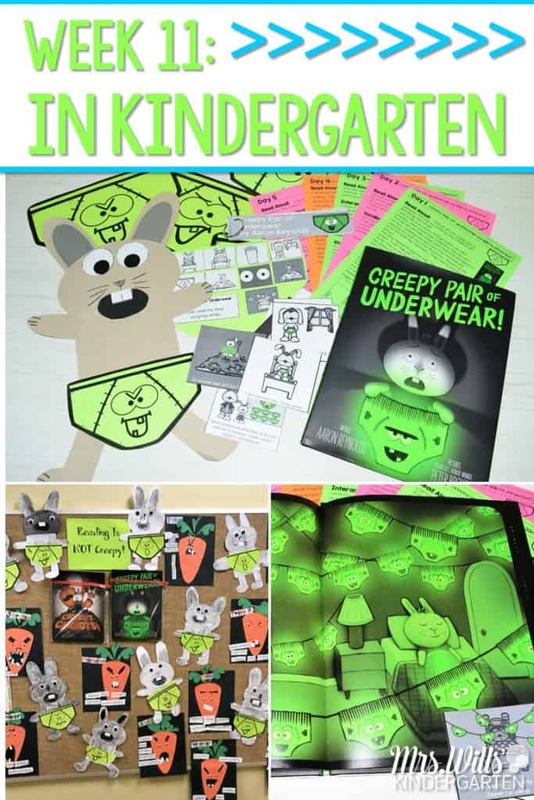 She has A Creepy Pair of Underwear displayed with her Creepy Carrots sentence study. Here is a look at the craft with the sentence study. I came across this older image of my writing center! There are so many options for the students that this center stays up all month long and students never get bored. 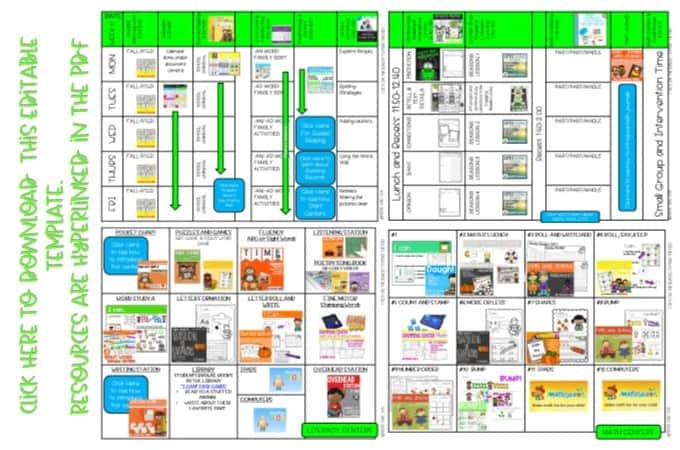 I like to limit the paper options each week, so there might be 6 list pages, 4 card making pages, 4 label the page options, 2 book options, and 4 story paper options. 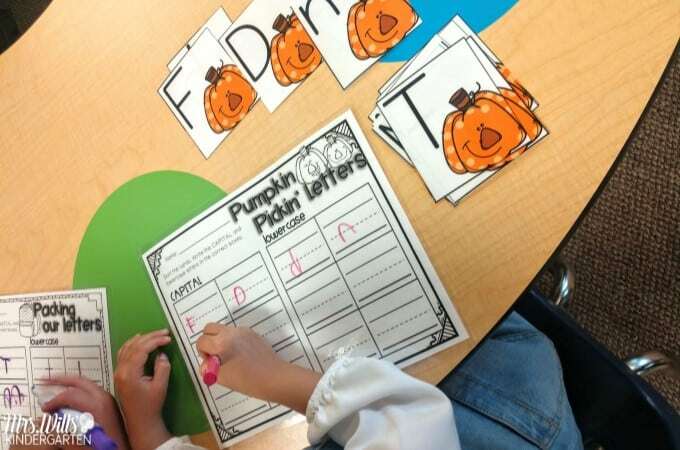 In this way, students are nudged into trying a different type of paper each week. This was one of the “Write the Room” options, but this teacher decided to use it as just a stationary center instead. That totally works! I can’t seem to walk into Target without stopping by the Dollar Spot! Every. Single. Time! I know I am in good company. I know you are entranced by those little shelves of teacher joy too! So I updated an old free file for you to use. 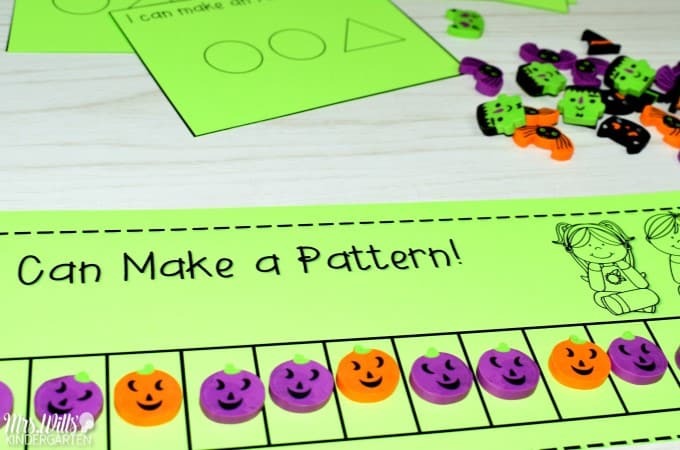 Students select a pattern task card, the build the pattern. 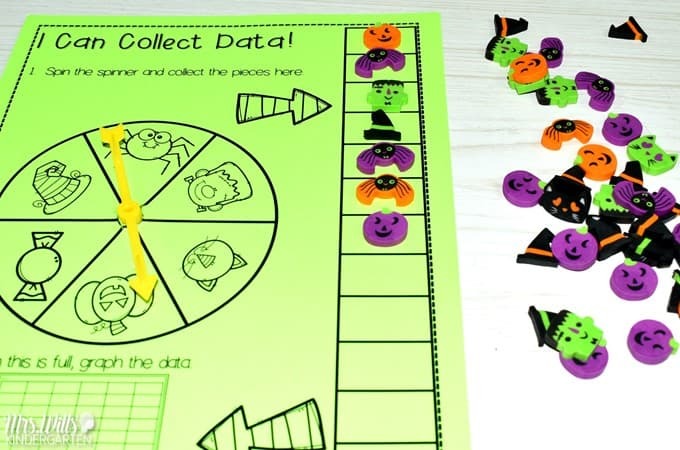 Students spin and collect data. 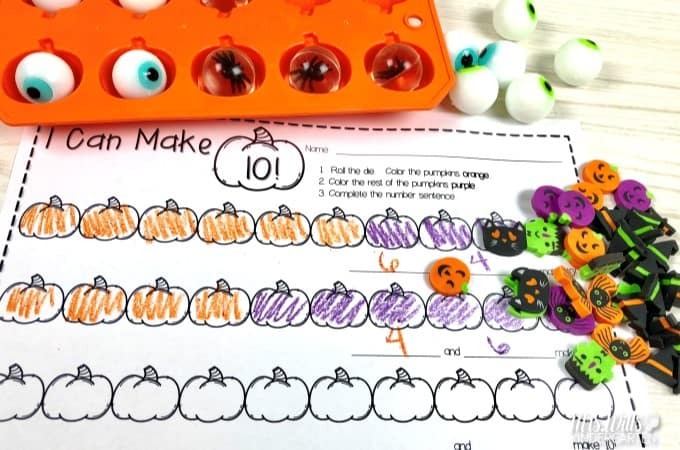 Students roll and make 10! I also got the spider bouncing balls, so this center can be used for a few weeks! 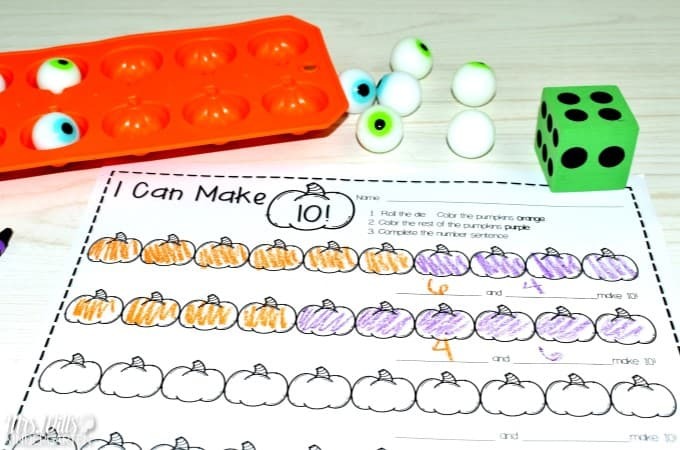 You can download these math center activities for free at the bottom of this blog post. Simply add your email to the box below and the file will be sent directly to you! 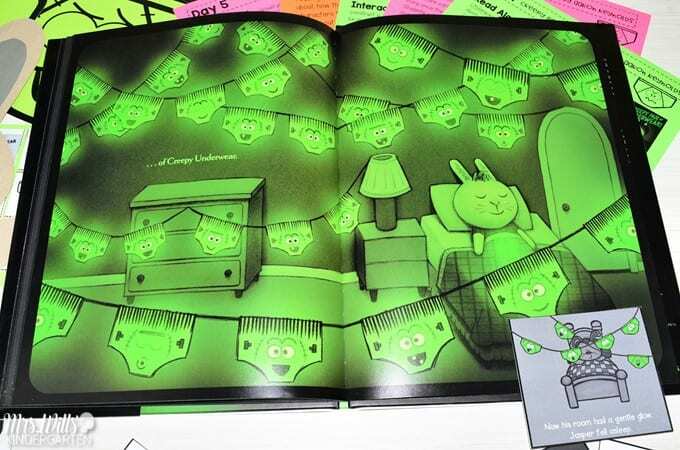 Is there a link to the creepy underwear retell? Yes! It is in the blog post, but here it is again. I am a teacher in a year round school. I track out with my class through most of October. I love all your Guiding Readers monthly sets. I also, own your Creepy Underwear pack. 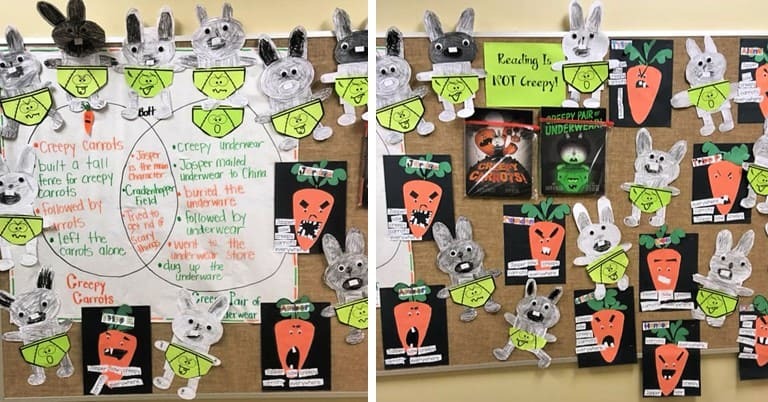 I would love the Creepy Carrots too but don’t need the other stories because we never have time to do them before we track out. Can I just buy that program? Right now, we have not taken the monthly units apart. We may do that in the future, but probably not before the first of the year. I am sorry. Just wondering which dollar place/spot the erasers came from. Is it Target, Dollar Tree, or some other ?